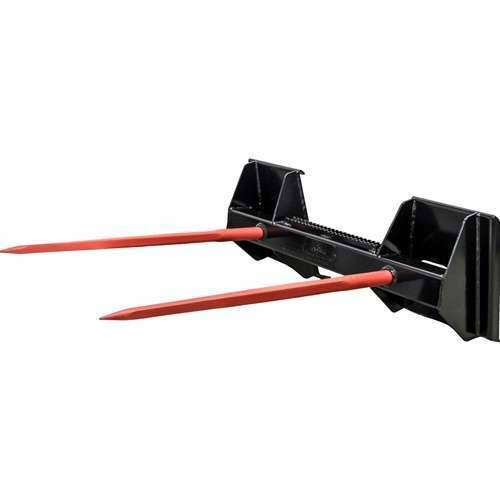 The KM Universal Skid Steer Bale Spear Attachment is constructed from top quality grade steel and features a mounting plate with two bale spear tines. It mounts easily to skid steers that use the standard universal quick attachment. Move and stack bales of hay more efficiently throughout your work day. Please Note: Bale spear tines do not come attached to mounting plate. Attach tines by placing in mounting plate and fastening in place using provided nuts.